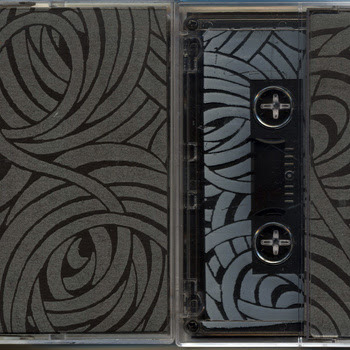 The solo project of Mike Haley, the maestro behind the label 905 Tapes. One half is dark levitating drone and the other is the light at the end of the tunnel. Really pleasing dark murky stuff that sludge-swimming droneheads will love to lap up.This tape comes to us courtesy of No Kings Records, a Nashville/Los Angeles based experimental cassette label known for taking no prisoners and having a general balls-to-the walls attitude. Side A: Sunn O))) taking summer school welding class. Tweeter-busting high frequencies, black opaque waves of drone, and slithering tendrils of light punctuating the darkness. Side B: Florescent day-glo enlightening experience. Synth blasting into uncharted territory, soaking up the sun and reproducing.